Home » Blog » How does location influence your security risk? It’s not hard to see the relationship between location and security when it comes to security risk. A property’s location will influence factors such as how people approach it, what type of crime it is at risk of and whether those risks are constant or variable. After analysing all our security risk assessments over the past two years, we found that location plays a big role in a property’s level of risk. We looked at how people reached a client’s location, then investigated whether there was an association between the type of transport used and the risk of loss. public transport and walking combined. We then analysed crime and incident data associated with each of our client properties, to see what that would tell us. A crime is an incident that has been reported to the Police, and we source data from crime reporting agencies all over Australia. Some of this data is quite good, as it allows a crime’s location to be plotted on a map. Queensland is better than most states in this area. Data published online, however, is particularly poor and ultimately of little value. 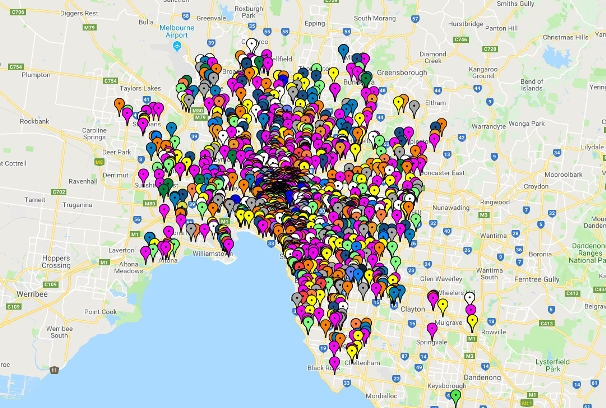 For example, a council client has town halls in three different suburbs, yet the crime reported online was the same for each location. Our information is much more relevant and up to date. We can buy crime data for any location nationally, which helps when more accurate information is needed. From our experience, this can be even better than asking Police for local background information. We can be quite granular and often request crime data within a 500-metre radius of a given address. Once you have this information, you also need to know what to look for. When it is read in isolation, crime data can be misleading. We have noticed, for example, that some areas appear to have high crime rates, but this does not always put a commercial property at increased risk of loss. When it is read in isolation, crime data can be misleading. For example, the suburb of Richmond in Victoria has a high crime rate. It is close to the city, has a high-density population and also a transient population. Many people travel through Richmond to and from the city, but they also visit for dining and entertainment purposes. As a result, anti-social behaviour is prevalent. But these types of incidents are not a major concern for commercial properties such as offices, as most of the risk occurs when a building is closed and already well secured. As such, when assessing a property’s security risk, we tend to focus more on actual crimes or events that occur on a client’s property. They are more meaningful to us because the data is more accurate and such incidents are often not reported to Police. These may include graffiti and low-level malicious damage, drug activity, petty theft, loitering or trespass and aggressive or abusive clients. We get this data directly from our clients and it is our best indicator of the challenges they face. Few clients, however, track and report incidents as well as they should. The most common recommendation we’ve made over seven or eight years has been to start a formal incident register. The most common recommendation we’ve made has been to start a formal incident register. While analysing this data can be a time consuming and laborious process, we can learn a lot from it. For example, properties easily accessed by foot generally experience more incidents. Foot access means the site is well serviced by public transport and/or close to train stations, which are often in areas that attract problems. For clients facing such challenges, analysing data specific to their site can provide simple solutions. 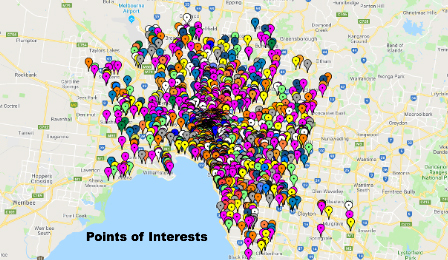 By plotting and tracking Points of Interest (POIs), we can associate them with other properties and, in turn, their influence on incidents and crime. A POI is any site or feature that we believe can directly or indirectly influence the risk rating of our client properties. A POI is any site or feature that we believe can directly or indirectly influence the risk rating. Bollards that are associated with public spaces. All this enables us to analyse the inherent risk of any property in Australia. There is an old saying that we don’t get to choose our family or neighbours, which is also true for businesses. For this reason, in security risk management we should also consider a property’s ease of access by foot or public transport. The lowest risk properties are mostly accessed by car. If your site is away from transit hubs and places where people congregate, such as shopping centres, you will probably experience fewer incidents than those easily accessed from train stations and transport hubs. You can’t always find the ideal location for your business or organisation. But regardless of where it is situated, you can minimise the risk of problems by understanding the local area and implementing appropriate security measures.